Two of our founders are down in Rio for the week. It’s an amazing city with lots to offer – beautiful beaches, good coffee, wonderful people – but there’s admittedly one thing lacking: reliable Internet. Now for most people coming down to Rio, that’s probably not an issue. 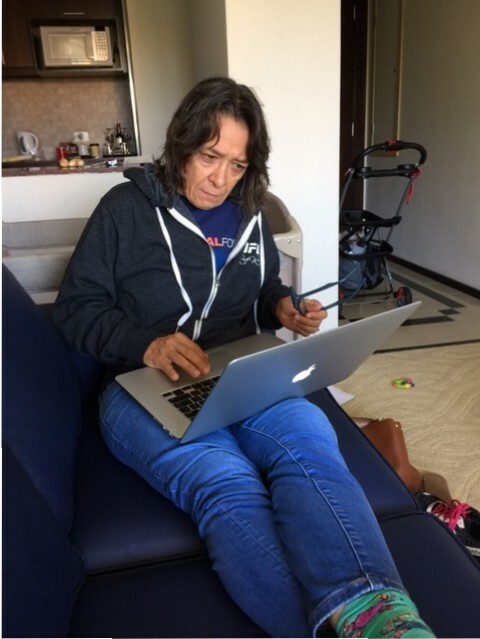 I mean who comes to Rio to sit in a hotel room and do work? Oh right, us. The thing about running a startup is you never really get a vacation. Instead of complaining about it (well, after a fair amount of complaining about), the lack of connectivity has made us appreciative, reflective and creative. We realize how lucky we are to have reliable high-speed Internet where we live and work. We honestly wouldn’t be able to do the job we do with this level of connectivity on a daily basis. We would have thrown computers off of the balcony in frustration ages ago. That appreciation comes from the reflection part, as we realize how we take for granted how essential reliable Internet is to our productivity as a tech company. It also reinforces our commitment to creating games that don’t require constant connectivity to run. It’s also made us realize how much of what we do and use – from Basecamp (project management) to Google Apps for Business to email to our Git repository to our own site to the dozens of times a day we turn to the Web (for everything from documentation to reference material) – relies on the Internet working. AirDrop – if your office runs primarily Apple machines like ours does, sharing files via AirDrop has been efficient for us. Figure out what does not need constant Internet to be done – things like blog posts and game design documentation – and do that instead. When you can connect to the Internet, those things can be updated or posted. Take advantage of those fleeting seconds of Internet – when the Web works, post, email, upload, update, do whatever you can in the small window that you likely have. Take a break. Sometimes, maybe a lack of Internet access is the universe telling you to take a few minutes to enjoy yourself – and the picturesque beaches of Rio. ← 7 Generation Games Game Tester Ronda Rousey Wins 2 ESPYs!